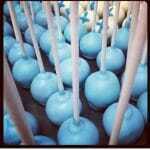 Sweets for every sweet tooth! 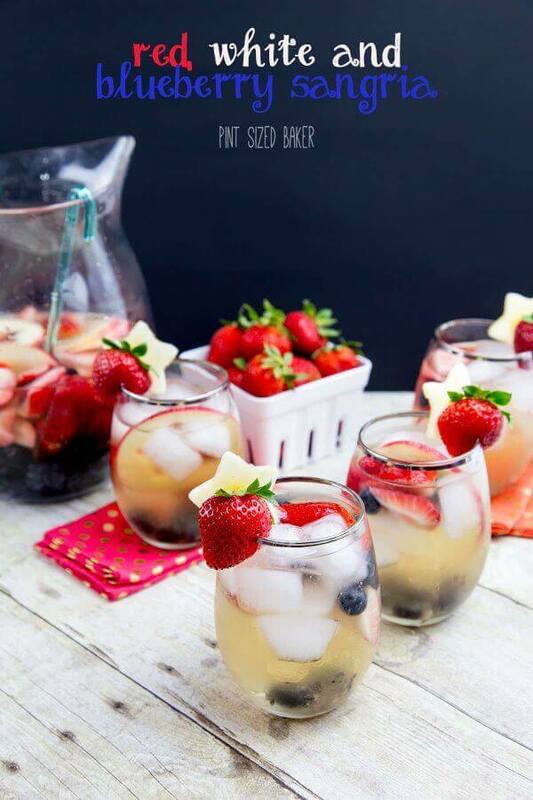 Enjoy a summer drink with your girlfriends – this Red, White and Blueberry Sangria Recipe will be a hit at your garden party! Summer time is all about enjoying the outdoors. 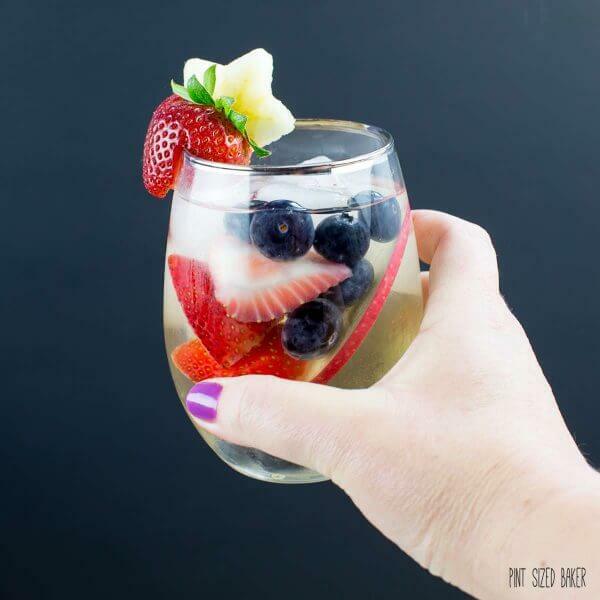 Weather you’re a relaxing on the back deck, watching the kids from the front porch, or throwing a big patio pool party, you’ll want to include this fun red, white and blueberry sangria recipe. I got the recipe from my friend Aimee Broussard, who is releasing her second cook book – Picnics, Potlucks, and Porch Parties. I am so excited for her! 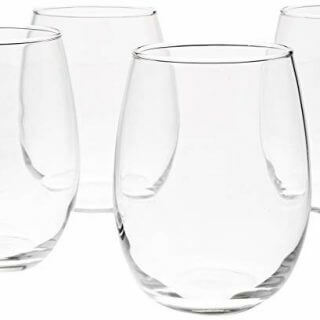 While you’re sipping on your Sangria, you can also enjoy an appetizer like fruit kabobs with lemon yogurt dip or Caramelized Onion, Bacon, and Gruyere Dip while your grilled browned-butter honey wings cook. Serve your party guests some easy cucumber and onion salad with a side of Creole-Style string beans and honey bourbon baked beans. 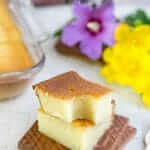 You can have your pick from over 50 different desserts from cookie, candies, cakes, and pies. Aimee’s southern cookbook has it all – just like her awesome blog. I’m in love with all the yummy recipes in this book! 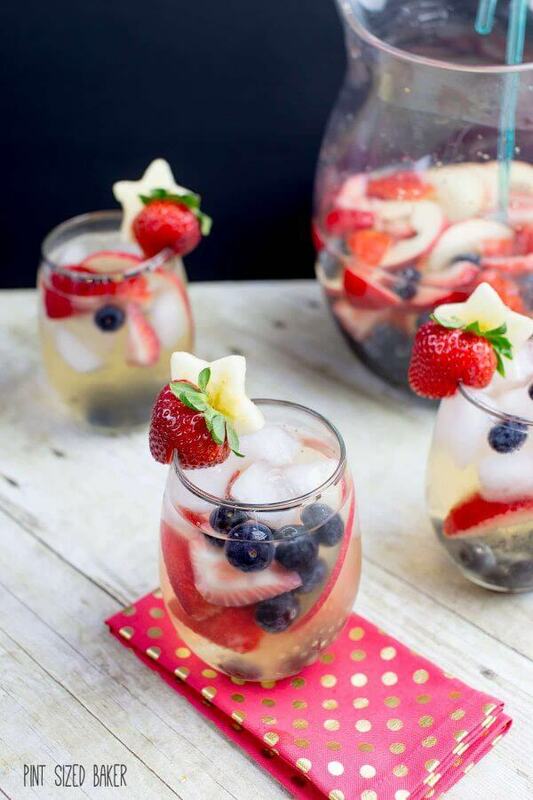 This Sangria Recipe is perfect for your Memorial Day or 4th of July party. I had some fun with the apple slices and used a star cutter to make it festive and fun. 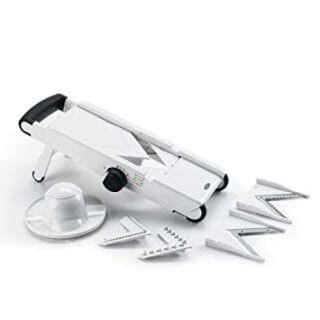 You can just cut rounds with a knife or mandolin. Fresh berries are great, but frozen will work as well. I loved this white wine and and champagne sangria. 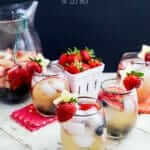 You can also make a fun red, white, and blueberry punch for the kids using all white grape juice and a clear soda like 7-up, Sprite, or Fresca. Just make sure that the real Sangria recipe is labeled appropriately. You can also win a copy of it for yourself as well as a Le Creuset 2.1 qt round casserole (it matches the book! ), a $50 Visa gift card, and a Hand illustrated Picnic shopper tote designed by KoriClarkDesigns.com exclusively for Picnics, Potlucks & Porch Parties (perfect for bringing home your groceries in style!) Don’t miss your chance to get in on that. The more people you follow the more entries you get! 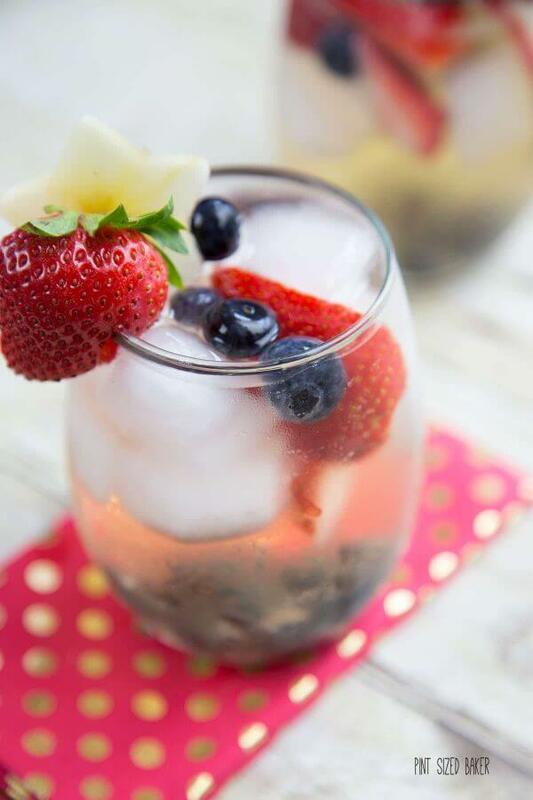 Enjoy a summer drink with your girlfriends - this Red, White and Blueberry Sangria Recipe will be a hit at your garden party! 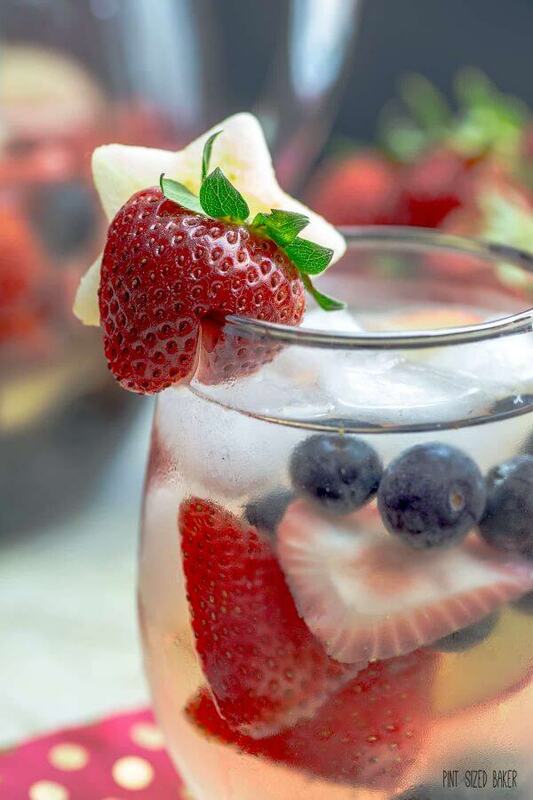 Stir together the white wine, white grape juice, blueberries and strawberries in a large pitcher. Cover and refrigerate for up to 4 hours. The longer it sits, the redder it will be. 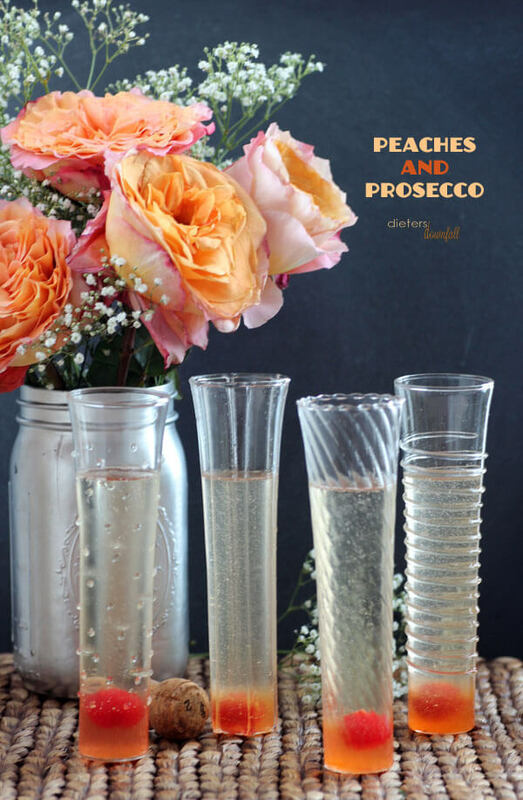 When you're ready to serve, add the chilled champagne and apple slices then pour over ice. I love sangria! 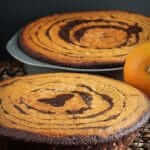 But I hate it when recipes call for 2 cups of sugar, tis one looks perfect! I love how festive this is it will be perfect for the holiday weekend. Congrats to Aimee and her new book! What a fabulous sangria recipe! 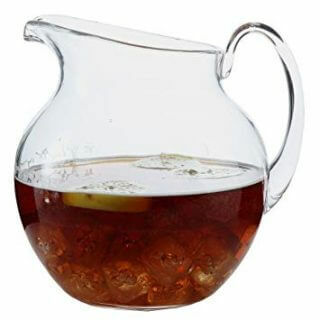 I am dreaming of hot summer days by the pool with friends and a pitcher of this sangria!! This sounds like a great cookbook, I’m always looking for more picnic/potluck ideas! Aimee did a great job on the cookbook. There are so many awesome recipes to choose from. I’m so excited about Aimee’s book! Also I’m totally in love with this sangria! Perfect for Memorial day or the 4th of July! 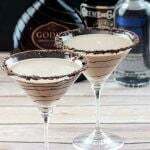 This is one delicious looking cocktail! Love that it’s perfect for Memorial Day! I had fun with the star apple slices on the rim. 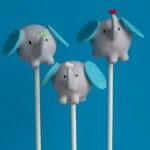 They add a whimsical holiday feel without a lot of hassle. 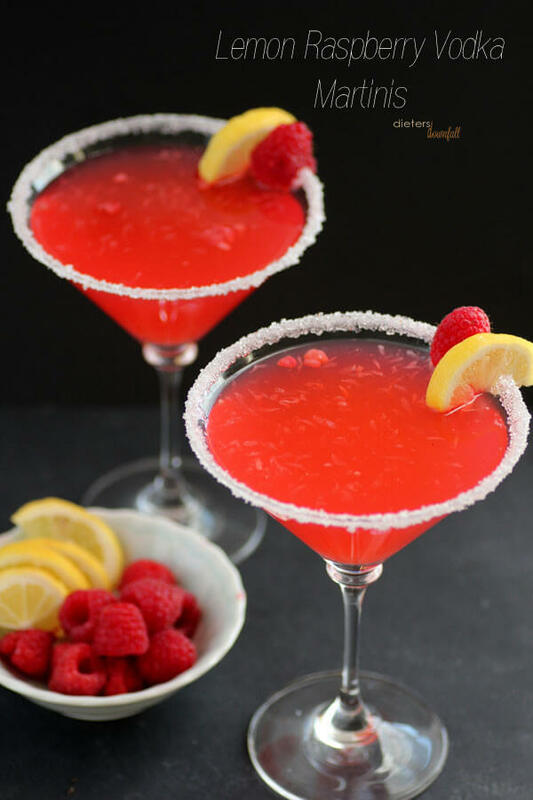 What a refreshing drink for these warmer days! Best wishes to your friend on her book release. This sangria is lovely! And I’m such a sucker for sangria — helllllllllllllllllo, summer! I totally need a copy of this book… love the premise and title and I’m all the loveliness and recipes tucked inside! It’s a great cookbook with lots of easy, everyday dishes, drinks, and desserts! 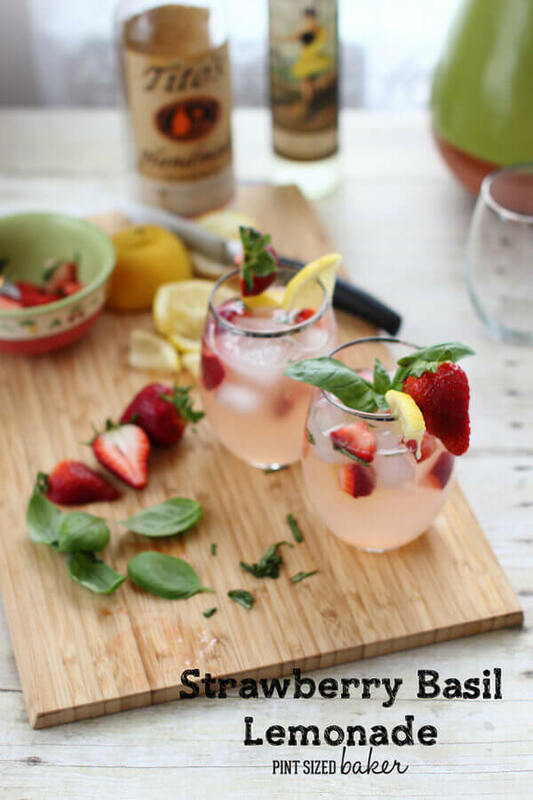 Very nice … I’ve yet to make a white sangria that knocks my socks off ;-( but this might be the one! Pinned! I think you need to find the right combo of flavors. Mix the wrong wine and champagne and I’m sure it’ll taste “off”. My combo was pretty good. Grab a large glass of milk and pick out your favorite dessert. I've got all of your sweets covered from breakfast delights, to mid-day cookies, and night time treats. 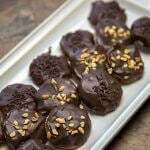 Make an easy batch of muffins for the book club or a layered cake for a special birthday. You're sure to find something for your skill level. 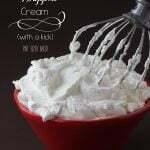 Mascarpone Whipped Cream – with a kick!